Click here for a list of all Dance Events in Paris. For the twelfth time in Paris, this event gathers together the world's greatest ballet dancers and the most promising young stars. The programme includes both classical and contemporary ballets. 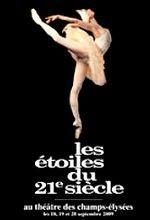 A definite event not to be missed by all ballet fans in Paris.